The U.S. Environmental Protection Agency is taking over as “the brand manager for the Energy Star products program,” according to a recently announced plan to coordinate efforts with the Department of Energy to expand and enhance both Energy Star and the new National Building Rating Program. 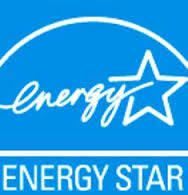 In addition to the new effort to recognize superefficient products, the announcement states that the Energy Star products program will be enhanced through expanded coverage, more frequent updates and enhanced efforts on product testing. Speaking at an energy efficiency town hall forum held in conjunction with GlassBuild last week, current DOE program manager for Energy Star windows said talks to transition responsibilities would start soon, but he could not yet give a timetable for the change to take effect.